It's inspiration challenge time at The House That Stamps Built. I think you're going to love this, it's bold, it's bright and screams happiness. 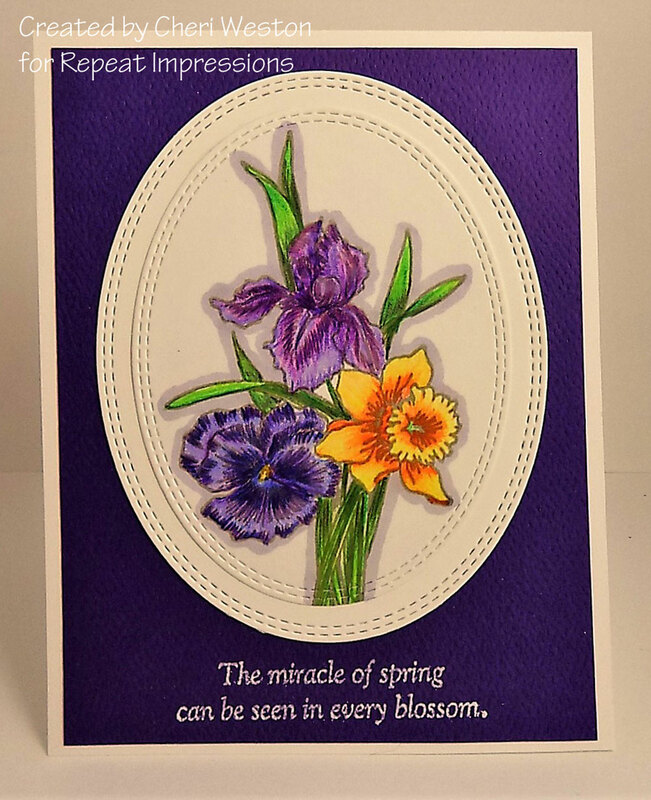 To create my card, I used the beautiful stamp RI#1320-M "Spring Blossoms". The flowers were colored with Copic markers and die cut in an oval stictched frame. The sentiment is RI#3910-G "Miracle of Spring". I layered the ovals agains a deep purple layer where I heat embossed the sentiment with white embossing powder. let's see what you can create and how this inspires you. The details on how to get in the challenge and what you could win can be found at THE HOUSE. Here are the blogs of my incredible team mates. They will blow you away with their interpretations of this inspiration. Very pretty - and I can see hopes of spring here the past couple of days. Love the coloring and how you used two ovals for your mounting the image. 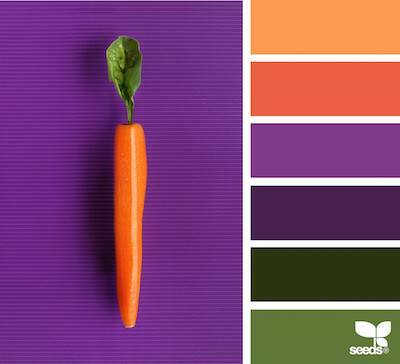 Love your color combination- put together beautifully! I love that stamp you used SS and how you coloured it is simply amazing. So bright and beautiful. Love the stitched dies and the purple back is perfect. Awesome! How gorgeous and beautifully colored! So very pretty! Beautifully colored! I love how you used the deep colors of this week's inspiration board to create a stunning floral card! Your coloring is superb! This is gorgeous!! Fabulous coloring and the ovals are the perfect frames for these beauties!